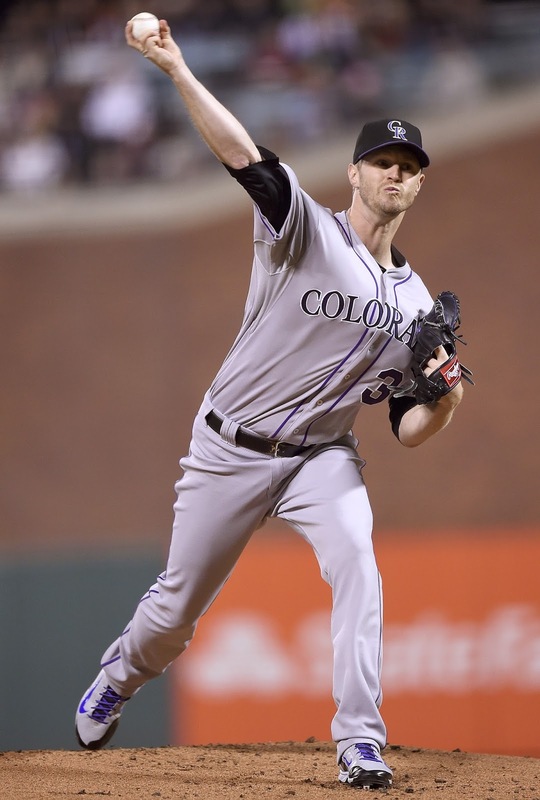 Kyle Kendrick is a Brave. Well, of course he is! The Braves continued to add to their impressive amount of veterans playing for a job by adding Kyle Kendrick on Thursday. While I have lauded pickups like Jhoulys Chacin and Alex Torres, I’m not all that impressed with Kendrick. Now, to be fair to Kendrick, he has spent his entire career playing in Philly and Colorado, which possess home parks that certainly aren’t very forgiving to pitchers who lack strikeout stuff, not induce a lot of grounders. Kendrick will be in a better situation with the Braves, but Kendrick will need a lot of things to go right to present a better option than other in-house options. One thing that might surprise you about a flyball pitcher like Kendrick is that he relies on pitches that should have a downward plane to them – a 90 mph sinker, an 87 mph slider, and an 82 mph splitter. And he does. His sinker, according to Fangraphs, grades out as possessing the 11th most vertical movement among qualified pitchers over the last three years. His cutter ranks 38th in vertical movement during the same time frame. The problem for Kendrick is less movement and more that he lacks the stuff to get whiffs. Outside of his curveball, which isn’t one of his most used pitches, he can’t get pitches past hitters leading to a lot of batted balls and very few of them are hit softly. You might think that because his curveball gets the most whiffs, he should use it more often. Problem there – his curve gets drilled when hitters aren’t missing it. That’s why he relies on his sinkers, cutters, and splitters. He has much higher luck with them not getting smacked to other dimensions. In the end, I look at Kendrick much like I saw Eric Stults. If Kendrick is getting a little hit-lucky, he’s competent enough to handle fifth starting duties, but there is a reason when Kendrick cost nothing on the free agent market. Of the 50 starters since 2007 who have started at least 200 games, Kendrick’s 5.2 fWAR is the worst in the game while his 1.24 HR/9 rate is the fourth worst among pitchers with at least 1000 innings in the same time frame. While we’re piling on, since 2007, no pitcher has thrown at least a thousand innings and has a worse FIP than Kendrick. While we are really piling on, in about half as many innings, Kyle Davies has a slightly better FIP. Well, at least Kendrick doesn’t cost anything.